This year, Drew Estate will provide a cigar exclusive to the Tobacconists Association of America retailers as a part of its TAA Exclusive Series. The cigar is a part of the Herrera Esteli brand and is appropriately titled the Herrera Esteli TAA Exclusive. Plans are for the Herrera Esteli TAA Exclusive to make its debut at the 48th annual TAA Meeting and Convention being held in Puerta Vallarta Mexico beginning on March 6th. The cigar itself is planned to ship this April to TAA retailers. 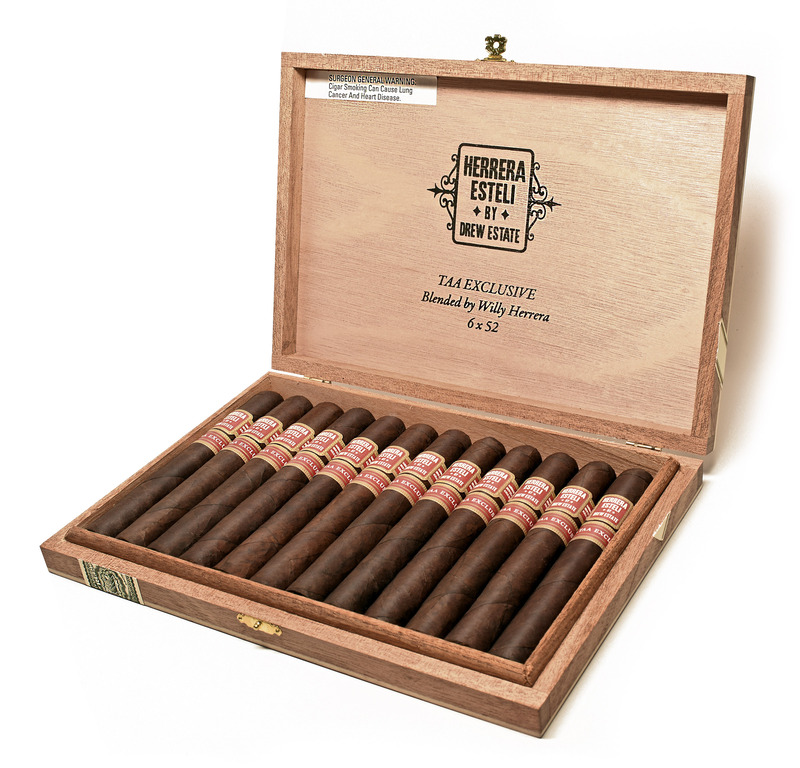 The Herrera Esteli TAA Exclusive was blended by Drew Estate Master Blender Willy Herrera. The blend features a Connecticut Broadleaf wrapper. This is the first time Herrera has worked with a this wrapper at Drew Estate. The remainder of the blend features a Brazilian Mata Fina binder and an all-Nicaraguan filler. The cigar will be available in one size – a 6 x 52 Toro priced at $12.00 per cigar. It will be packaged in twelve count boxes priced at $144.00 per box. Consumers will get a chance to enter a contest to win a box of the Herrera Esteli TAA Exclusive before they hit shelves by clicking here. This is not the first cigar Drew Estate has provided to the TAA. It has an on-going release under its Acid brand called the Acid Bing Bang TAA Exclusive. As mentioned, the Herrera Esteli TAA Exclusive will be available in a single size a – 6 x 52 Toro.